Miruthan is certainly a commendable effort at introducing a genre to the Tamil audience. 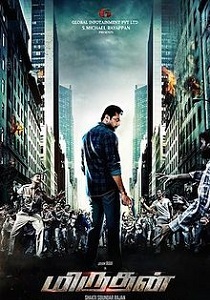 Watch this film if you have loved zombie films in the past, and if you’re a fan of Jayam Ravi. A sweet twist awaits you during the climax. Watch out for it. ayam Ravi’s zombie flick is a fast, action packed thriller from start to finish!